We kick things off with a North American safari experience in Denali National Park, where bears, wolves, and caribou roam beneath a backdrop of iconic snow-capped peaks. From here, you’ll journey on to the town of Talkeetna, where art culture and frontier heritage are the perfect complement to your time in the wild. 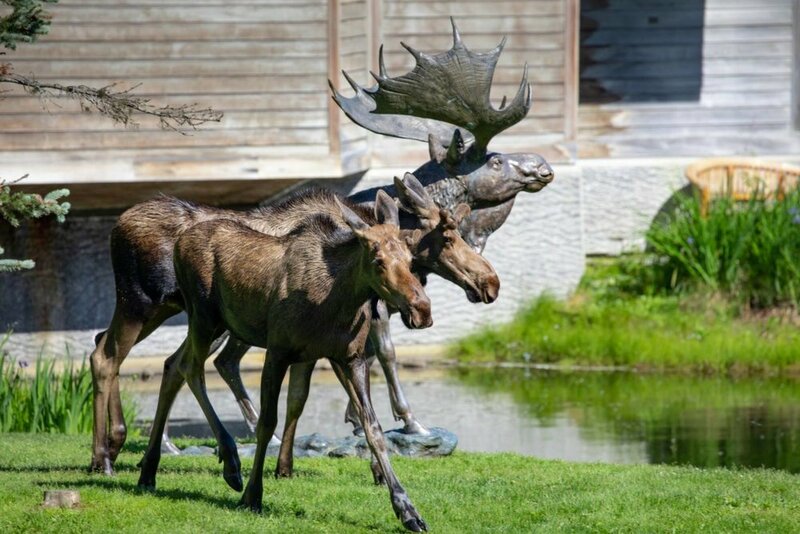 Then, carry on to Alyeska, where you’ll settle in for micro-adventures each day that take you whale watching in Kenai Fjords National Park, hand-feeding moose at the Alaska Wildlife Conservation Center, and beyond. You’ll pan for gold, take selfies with sled dog puppies, and dine on fresh Alaskan salmon over the course of this week and a half long adventure. The best part? We’ve designed this trip at a pace that’s perfect for the whole family, whether you’re planning a family reunion or simply the perfect mid-summer trip for your partner and kids. We would love to help you chat about the details and how to make this trip perfect for you! Please note the listed price is based on 2 people traveling, and is subject to change based on availability and other factors. The perfect journey through the best of Alaska for families traveling with younger kids. You’ll fly into the city of Fairbanks on your first day. Located in the heart of the Tanana River Valley, this is the second largest city in Alaska. With a quintessential frontier spirit (with some modern amenities thrown in), Fairbanks will be your “Gateway to the Arctic” for your epic family adventure. Depending on when you visit, you could experience comfortable temperatures in the 80˚F-range, or chillier winter temps reaching well below zero. You’ll want to plan ahead for this extreme environment near the Arctic circle! Enjoy your first day getting settled at Pike’s Waterfront Lodge before the real fun begins the following morning. Today you’ll journey with a private guide to Denali National Park. Home to one of the most staggering mountains in America, 20,310-foot Denali, this is an incredible place to experience the wilderness and wildlife of the Last Frontier. After a scenic drive to the park itself, you’ll board a shuttle that will take you on a six hour safari through the park. Lucky travelers will spot moose, caribou, wolves, sheep, and of course bears. That evening you’ll be checking into Kantishna Roadhouse, your home for the next two nights. The following day, pick and choose from different activities like hiking, panning for gold, and visiting a local musher. You can also head out on mountain bikes or pack a fishing rod for some catch-and-release fishing for rainbow trout. Evening talks about subjects like the aurora borealis or Kantishna’s gold rush history are popular too. If Denali is out of the clouds, you’ll enjoy gorgeous views from Wonder Lake with the lodge staff. On day four, it’s time to carry on to Talkeetna. You’ll enjoy breakfast before departing for the Denali Rail Depot. You’ll journey through Broad Pass, offering majestic views of the Alaska Range in all directions before passing over Hurricane Gulch. Your glass-domed rail car will allow for unreal views as you pass through the backcountry where the only thing around is the occasional remote cabin. Lunch is included (as well as a couple of welcome adult beverages) on this just over four hour trip. 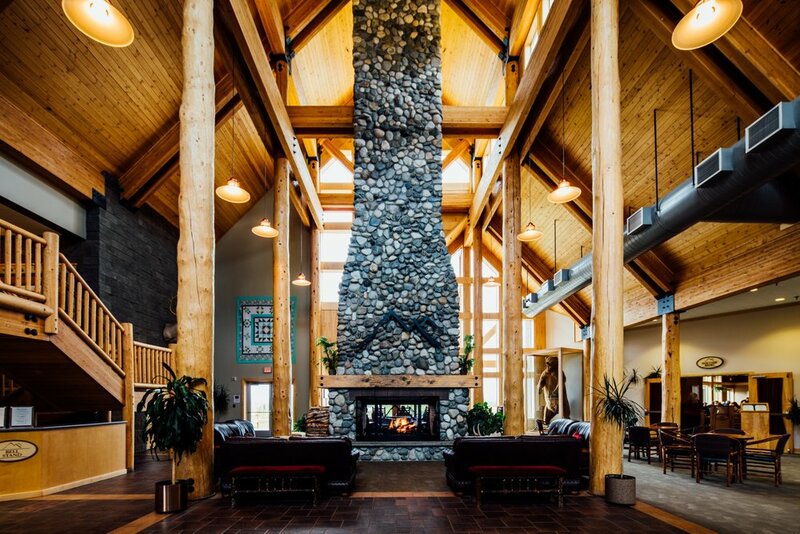 Talkeetna itself is located 120 miles north of Anchorage, and it’s here you’ll get to explore for the next few days based out of Talkeetna Alaskan Lodge. The next morning, peek out your window for views of Denali (weather permitting!) before a scrumptious breakfast at Base Camp Bistro. You’ll have the first part of the day to explore the local climbing community, art culture, and rich frontier history. That afternoon, a private guide will take you for a leisurely hike through old-growth forest. Loons, kingfishers, moose, and bears all frequent the area, so be alert! When you’re not peeping for wildlife you’ll enjoy wildflowers, berries, and mushrooms that grow in the area accompanied by stories from your guide about how these resources have been used for centuries by natives to survive in this beautiful but sometimes harsh landscape. The following day you’ll continue on to Girdwood. Break up the drive with a stop at Happy Trails Kennel, where you’ll be greeted by dozens of excited sled dogs and learn about the Iditarod. Continuing on you’ll pass through the Matanuska-Susitna Valley, one of the most important agricultural areas in Alaska. Here you’re in the midst of three of Alaska’a major mountain chains: the Alaska, Talkeetna, and Chugach Mountains. Originally named Glacier City in the gold mining days, Girdwood is home to Mt. Alyeska and Alyeska Resort, your home for the next four nights. 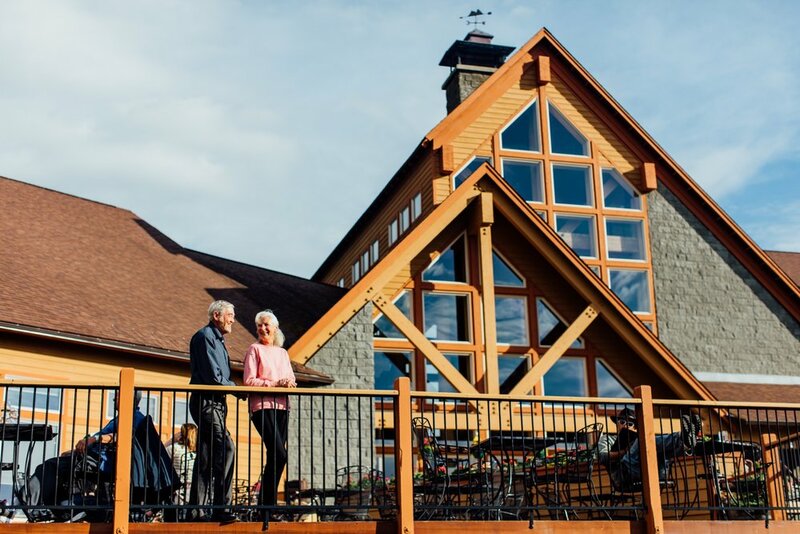 Sitting in a panorama of mountains and glaciers, this gorgeous resort features amenities you might enjoy after a week in the wild like their workout center, indoor swimming pool, and spa. But the remainder of your trip is anything but boring! On day seven you’ll hop into a private vehicle to the Kenai Peninsula and the city of Seward for a six-hour cruise in Kenai Fjords National Park. Stop at the mighty Holgate Glacier, dine on salmon and prime rib, and involve the kids in the junior ranger program. You’ll have the chance to see sea otters, whales, seals, and puffins along the way. 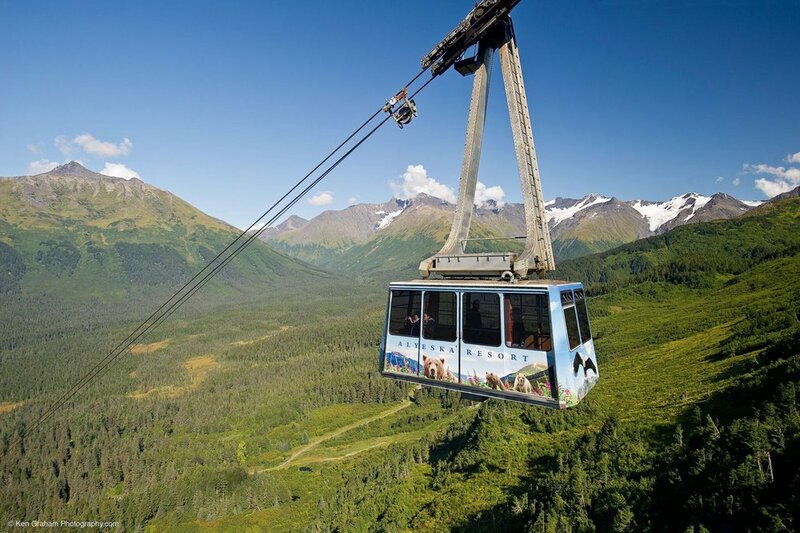 That evening you’ll return back to Alyeska Resort by an incredibly scenic rail car journey. 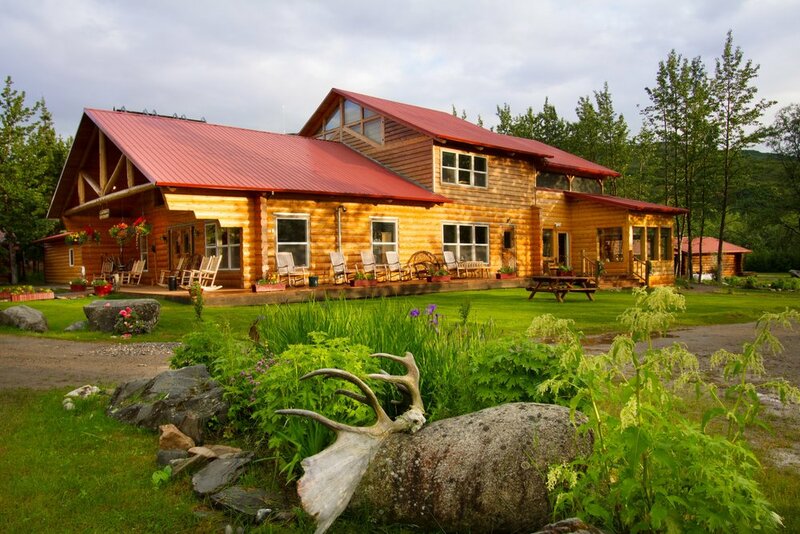 The next day, visit Alaska Wildlife Conservation Center to learn about Alaska’s wildlife. Here on an 200-acre sanctuary injured and orphaned wildlife are rehabilitated and easy to see up close. During your visit you may see bears playing in their pools, musk ox shedding their dense winter coats, or reindeer growing their summer antlers. After lunch, partake in a gold panning lesson at historic Crow Creek Mine where the gold rush is far from over. 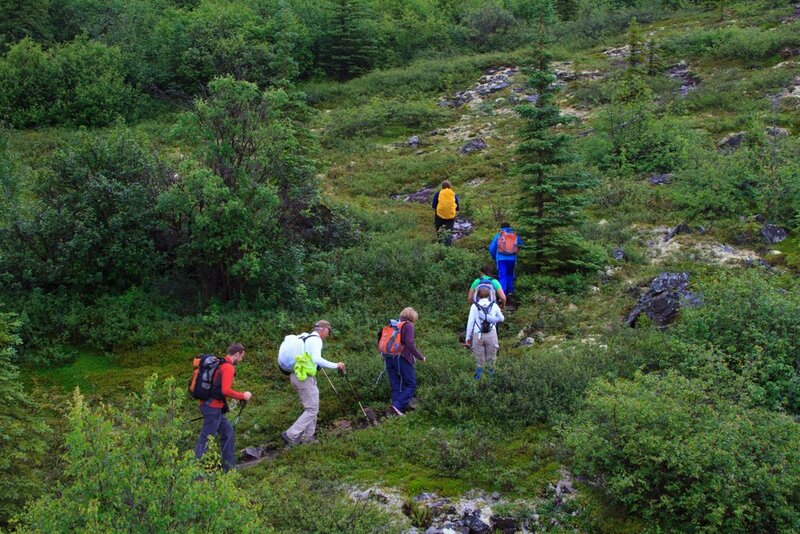 On day nine, you’ll take a short rail trip to the remote Chugach Mountains. Disembark in the Placer Valley with your guides, who will take you on a float trip on Spencer Lake. You’ll be floating atop a melted glacier, and get to go up to the edge of the remaining ice. Lush valley walls surround the lake and provide a gorgeous backdrop to your time on the water. The following day it’s finally time to return home, after an adventure-packed journey through the Last Frontier!